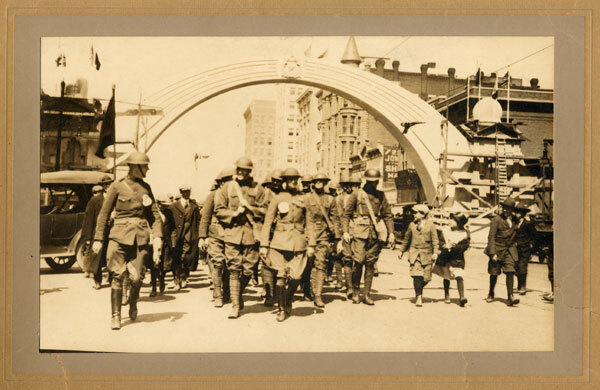 Description: Parade to celebrate the return of soldiers from World War I. Wichita erected the Victory Arch at the intersection of Douglas and Lawrence (now known as Broadway) for the occasion. Buildings in the background include: Winne, Fourth National Bank, Bitting, and Schweiter. Keywords: Wichita, military, public events, street scenes, people, automobiles, soldiers, children, clothing. 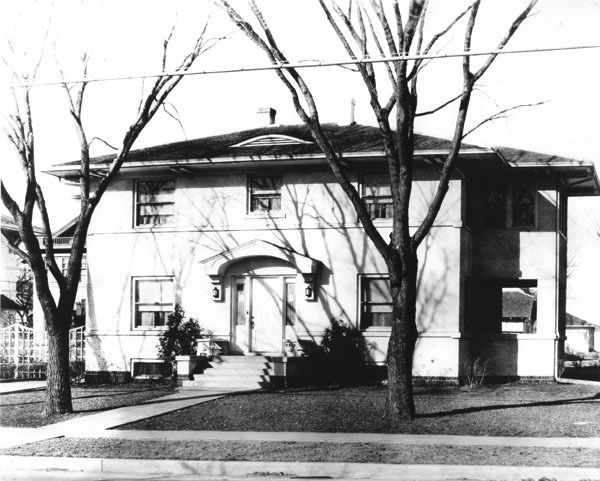 Description: Henry J. Allen Residence, located at 255 North Roosevelt. 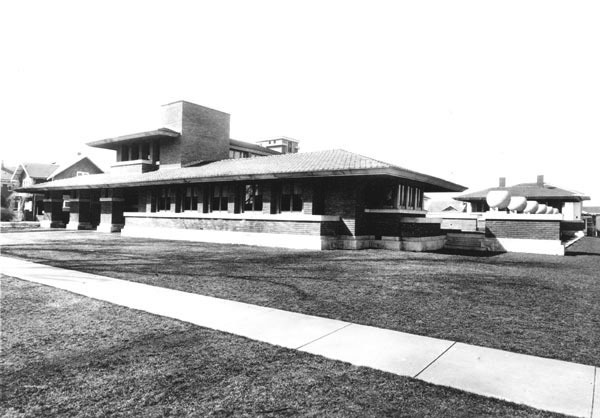 This residence was designed by architect Frank Lloyd Wright in the Prairie House style. It took two years to complete. Allen was Governor of Kansas from 1919-1923 and a United States Senator from 1929-1930. Description: 600 block East Douglas looking west. 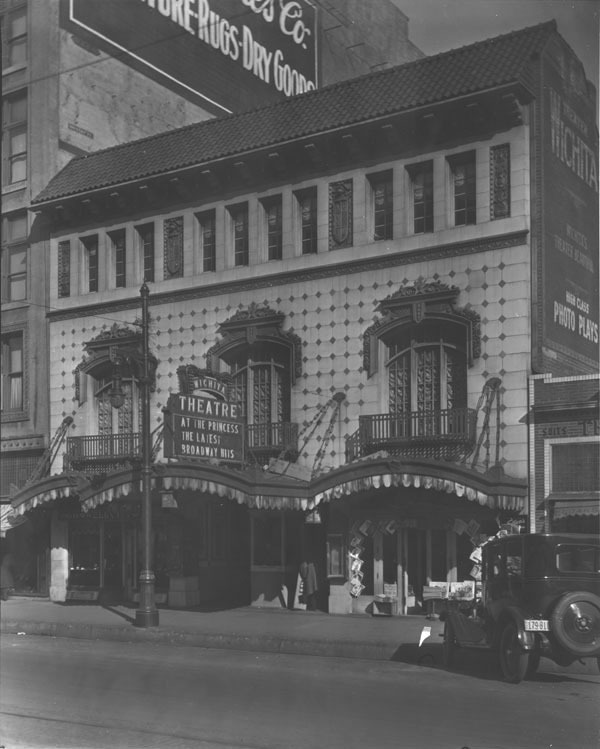 The Eaton Hotel is on the left at Douglas and St. Francis. The Victory Arch can be seen in the distance. 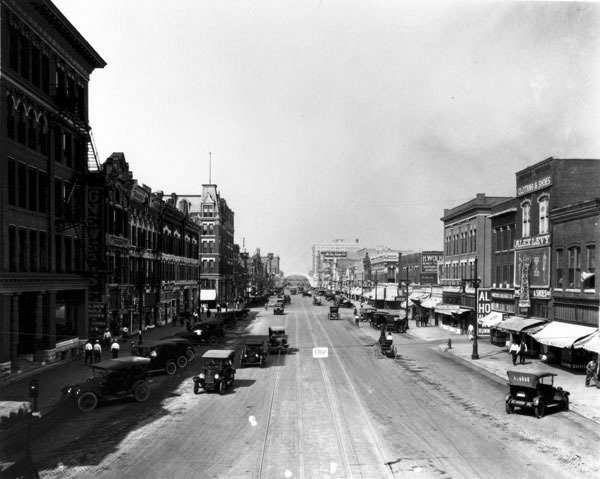 Keywords: Street scenes, commercial buildings, automobiles, streetcars, horse, buggy. 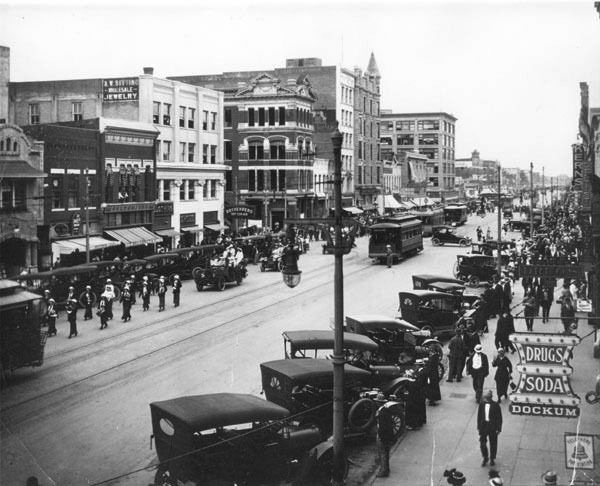 Description: Parade in the 100 block East Douglas looking east. Buildings that can be seen include Dockum Drugs and Kerns on the south side. 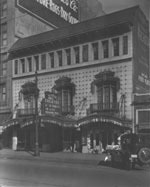 On the north side is the Bitting Building, Fourth National Bank, the Michigan Building, the Zimmerly Building and the George Innes Company. Keywords: Public events, street scenes, commercial buildings, automobiles, people, marching band, streetcar, fashion. Description: Looking west on Douglas Avenue. 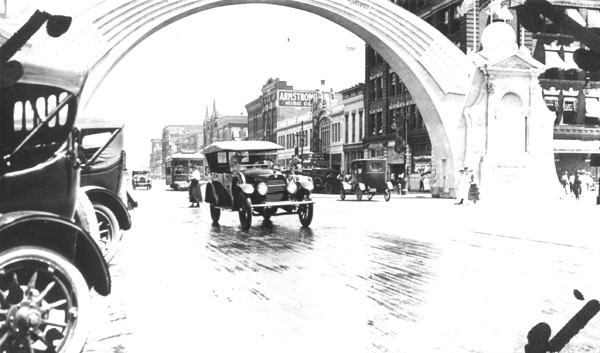 The Victory Arch is at the intersection of Douglas and Lawrence (Broadway). Keywords: Street scenes, streetcar, automobile, flags. Keywords: Business and industry, automobile. 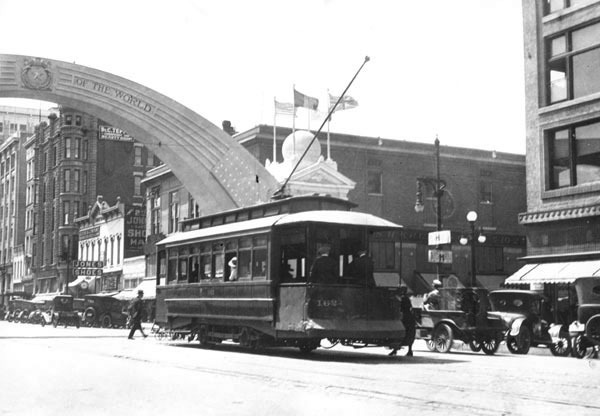 Description: Victory Arch, looking east on Douglas from Lawrence (Broadway). Keywords: Public events, street scenes, automobiles, street car. Description: Birdseye view of South Water and William looking west. The area is known as Tractor Row. 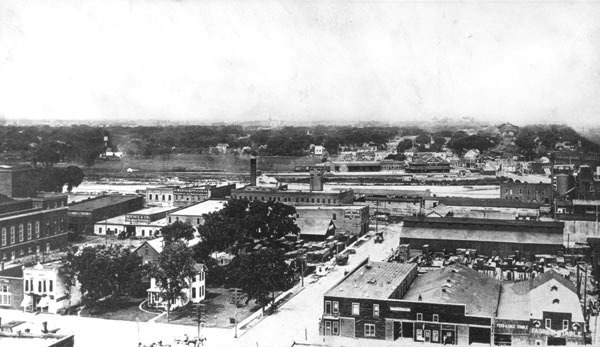 On the left is the Wichita Forum, Reeves & Company, the Wichita Supply Company, and the Nichol & Shepard Company. To the right is Feed and Sale Stable, and Fashionstable. In the background can be seen the Midland Valley Railroad Depot and the Douglas Avenue Bridge. Keywords: Aerials, business and industry, street scenes, river, bridges. Description: Residence of William R. and Alice Pitts, located at 3412 East 2nd.